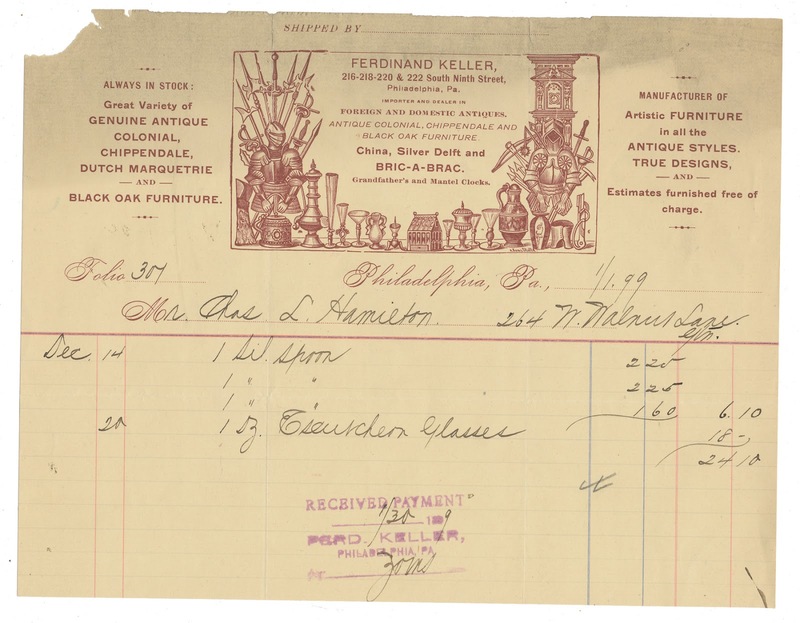 Receipt from Ferdinand Keller, Philadelphia PA, seller of "foreign and domestic antiques," dated 1899. Found in "A Dictionary of Modern English Usage" by H.W. Fowler. 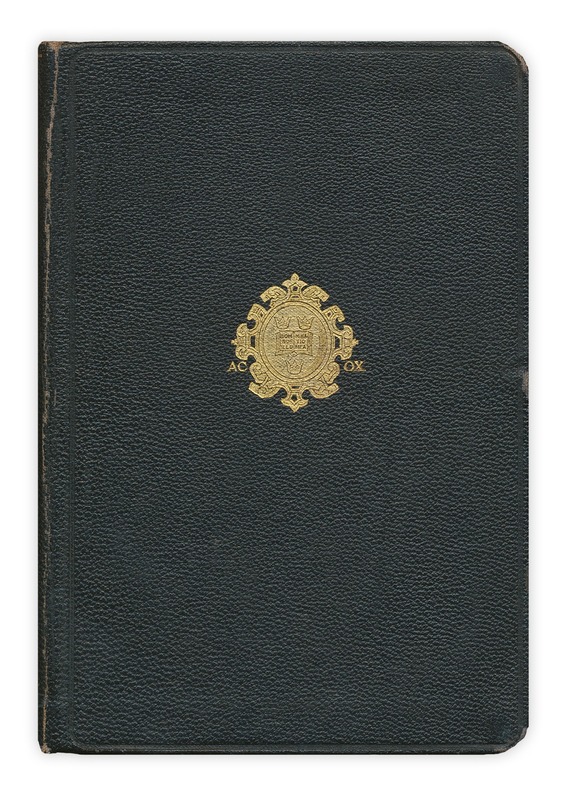 Published by the Oxford Press, 1927. That last entry looks like "Escutcheon glasses". They were definitely more costly than the silver spoons. An interesting find. I love it! an Antique receipt from an Antique dealer - I wonder how much those $2.25 spoons would cost in today's money?